It’s not always practical to carry a large camera and a kit bag with you. Yet when the camera on your smartphone can’t offer the premium image quality, manual controls and lens choice of a DSLR, you need a camera that can. 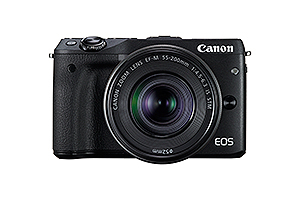 Canon’s mirrorless cameras offer you the flexibility of a DSLR but in a much smaller body, so you can carry one – and maybe a couple of lenses – in a small bag or your jacket. Watch the video and see our suggested kit list for a portable, flexible set up that will work brilliantly in all sorts of scenarios. The EOS M3's compact body packs lots in to give you performance, creativity and the power of a DSLR that you can fit in a pocket. Use it to capture photos and movies that are filled with detail, colour and atmosphere in all sorts of conditions. Besides being very portable, it’s also very versatile. 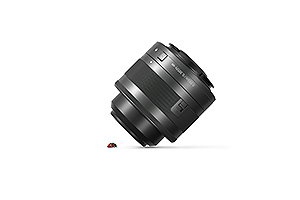 You can choose from the EF-M lens range or use one of over 70 lenses designed for EOS DSLRs via the Mount Adapter EF-EOS M.
The EF-M 15-45mm f/3.5 – 6.3 IS STM lens is a compact, versatile and lightweight wide-angle zoom lens, with retractable design for EOS M cameras. 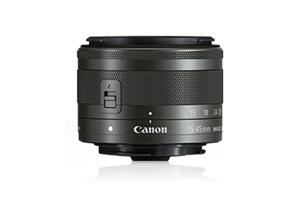 Ideal for stills and movies, its perfect for capturing everything from landscapes, portraits and fast paced action. Enter a unique world of macro photo and video, with this compact, lightweight lens designed for EOS M cameras. Magnify intricate details beyond the human eye and create great shots thanks to outstanding 1.2x magnification, Hybrid IS and in-built Macro Lite. 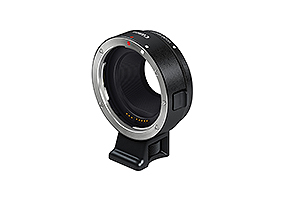 This small and lightweight mount adaptor allows you to attach any lens from Canon’s huge range of EF and EF-S lenses to the EOS M, including specialist lenses like tilt-shift and fish eye for impressive effects. 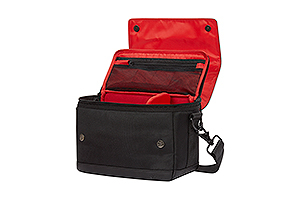 The SB100 shoulder bag will protect your portable kit against the elements. With enough room for a camera body, two lenses - or a lens and a flash - its great for expanding your options when you’re on the move. With the above kit packed in your SB100 bag or your pockets, you’ll have a flexible, portable and superior set up that helps you to capture spectacular shots in all sorts of conditions.